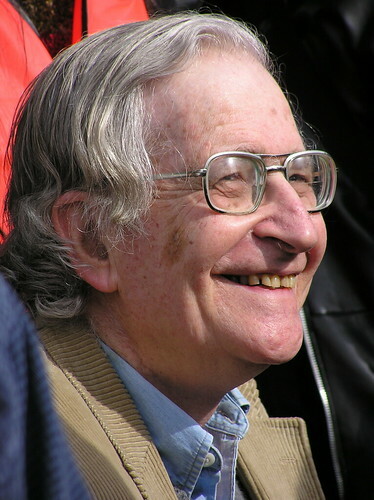 At the Massachusetts Institute of Technology in Cambridge, Mass., Abby Martin interviews world-renowned philosopher and linguist Professor Noam Chomsky. Prof. Chomsky comments on the presidential primary “extravaganza,” the movement for Bernie Sanders, the U.S.-Iran nuclear deal, the bombing of the Doctors Without Borders hospital in Kunduz, Afghanistan, modern-day libertarianism and the reality of “democracy” under capitalism. This entry was posted in All Posts News Politics and-or Videos, Dandelion Salad Videos, Democrats, Elections, Empire, History, Imperialism, Politics, Republicans and tagged Abby Martin, Bernie Sanders, Noam Chomsky. Bookmark the permalink. What an amazing thing it is to be able to listen to such eloquent discourse, on demand! If you miss something you can stop, track back and hear it again or as many times as is necessary to thoroughly understand what is being said. So in the internet age, there are no more excuses ~ pay attention ! ! So true, David. I do that myself all the time.